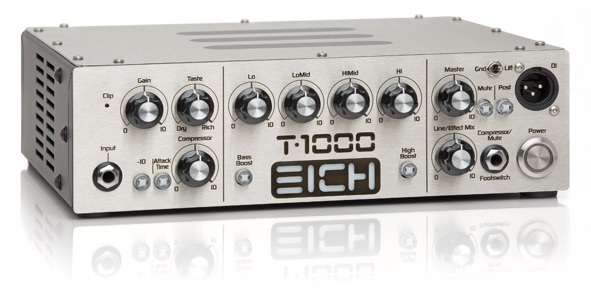 The new EICH T1000 is extremely small in size but very big in sound. 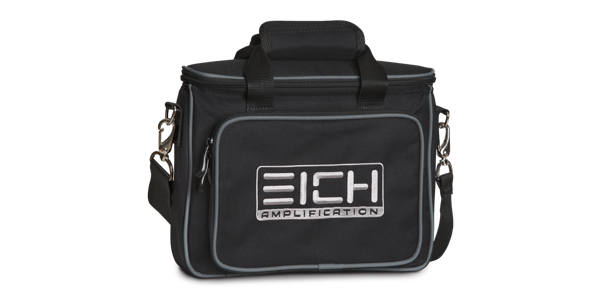 Being a real EICH throughout only the finest materials and components were chosen in order to evenly reproduce the whole frequency range and deliver a solid bass sound. Optional T-series Footswitch Exclusive features and our new ultra-flat premium input stage set new standards in this amplifier class. The very effective tone controls suit all musical styles. The T-1000 boast a four-band tone control plus bass and high boost switch section which lets you easily dial any sound you want. The TASTE control emphasizes the tonal characteristics of the individual instrument. Set to the centre, the control has no effect on the signal. Turn it counter-clockwise to filter out some ultra-low frequencies and at the same time enhance a pronounced mid range. This is the ultimate fretless tone. Turn it clockwise to soften the high end which leads to a pumping bass sound. Additional features like an effects loop, Tuner Out, Line Out, Line In, and three Speakon® outputs and a DI out with Pre/Post and Ground Lift switch prove that the T1000 is a extremely versatile machine. 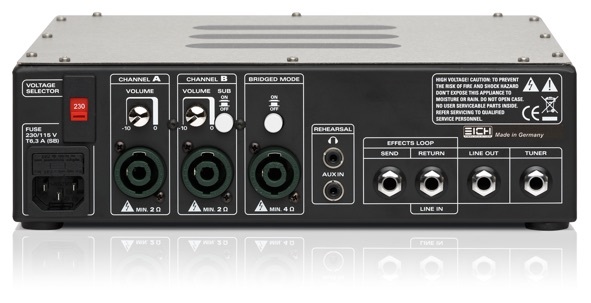 T-series amps are ideal for travelling around the world due to their voltage switch which allows them to be operated at 230 and 115 volts 50 - 60 Hz. The T-1000 additionally features our newly developed compressor which allows for subtle dynamic alterations without any level changes. You can also choose between a long and a short attack time which gives you even more breathtaking sound variations. The controls EFFECTS MIX and LINE IN are located on the front panel and thus easily accessible. 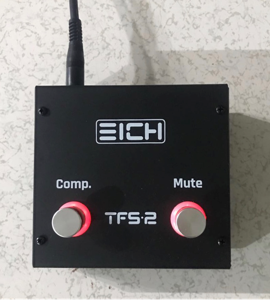 There is a footswitch jack for the MUTE function. The equalizer section is further expanded by switchable bass and treble boosts. The “DAS” direct airflow system cools the T-1000 every time. The Magnet Fix Pins will keep the T-1000 in place when you use one of the Eich cabinet. All Eich cabinets have the AmpFixing rail on top of the cabinet. The result is an impressive live performance with an unbeatable power-to-weight ratio. With its two individually controllable digital power amps delivering 500 watts each (1000 watts in bridge mode) the T1000 will rumble any stage in the world. 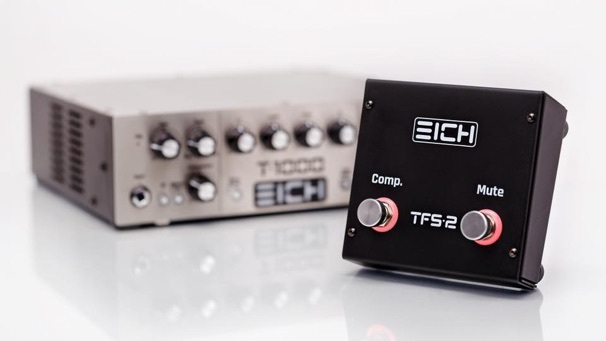 The EICH T1000 combines enormous power and elegant lightness to create a completely new generation of bass amplifiers. 27 cm x 8 cm x 25 cm / 10.7" x 3.2" x 9.9"